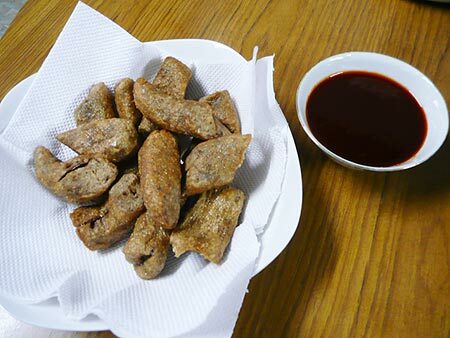 The easiest way to describe Keropok Lekor is to call it fish sausage. 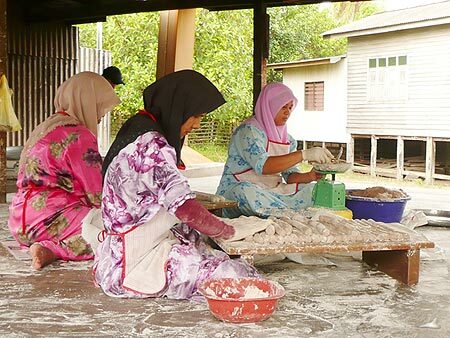 It is the specialty from Terengganu, a state at the east coast and omnipresent in the streets and villages and very much a part of the live of the people there. 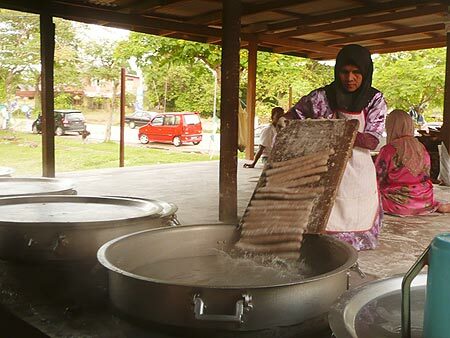 Here are some pictures from one of the most popular Keropok Lekor stalls or shall I say factory, in Kuala Terengganu. The mixture is being hand-rolled into a sausage form. Ingredients of the mixture: Fish (Ikan Parang or Ikan Kembong), Sago Flour, Salt, Water, Ice Cubes, Pandan Leaves. There are some basic machines at the back of the house to do the mixing processing. The sausages are thrown into boiling water for a few minutes until they are cooked and ready to be sold. This stall is so popular that the sausages are sold freshly right from the pot with people waiting patiently in a long queue. 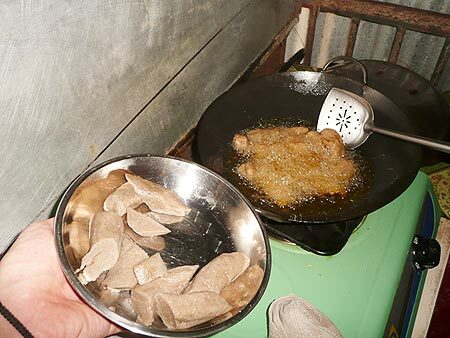 Keropok Lekor ready to be served with their chili sauce, or with own home-made chili sauce if one prefers or shrimp-based sauce is also common. You get the best of it if you take it right after frying when it is still hot, crispy on the outside and tender at the inside. Definitely a must-try if you want to experience the Malay culture from the east coast in Terengganu and its diversity in food is one of the ultimate elements of the culture.